We have a problem. It’s that we’ve been failing to take care of our health. We’ve heard and believed people when they say “health is wealth”. But however we truly believe these words, we still fail to adequately do enough to take care of our bodies. Part of the reason (maybe) is because we are not motivated enough to act. What we may need is a new perspective. How do we look at it in an angle which will persuade us to move? So I thought I’d share how Warren Buffett motivated people to take action with regards their bodies and minds. I got this quote straight from his biography called “The SNOWBALL: Warren Buffett and the Business of Life”. After reading the whole book, this is among the passages that stuck with me. 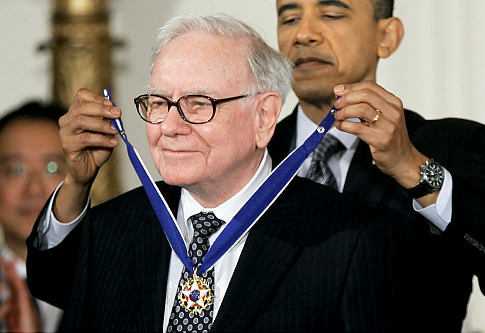 It was very insightful and shows why Warren Buffett is well-loved and respected. For a few of you who don’t know who this guy is, suffice it to say that he is the most successful investor in the world today. “When I was sixteen, I had just two things on my mind—girls and cars,” Warren Buffett would say, taking a little poetic license here by leaving out the part about the money. “I wasn’t very good with girls. So I thought about cars. I thought about girls, too, but I had more luck with cars. “If that had happened, I would have picked out that car. But, can you imagine, knowing it had to last a lifetime, what I would do with it? “I would read the manual about five times. I would always keep it garaged. If there was the least little dent or scratch, I’d have it fixed right away because I wouldn’t want it rusting. I would baby that car, because it would have to last a lifetime. “That’s exactly the position you are in concerning your mind and body. You only get one mind and one body. And it’s got to last a lifetime. Now, it’s very easy to let them ride for many years. But if you don’t take care of that mind and that body, they’ll be a wreck forty years later, just like the car would be. If this story does not convince you to do right by your mind and body, I don’t know what will. Otherwise, the next step is to figure out what to do about it. What should you be doing to maintain your health physically and mentally? I believe it’s an easier problem to deal with which all of us are more capable of resolving. You’ll know you’ve taken the first step depending on how you intend to spend your time tomorrow. So go and make it happen!